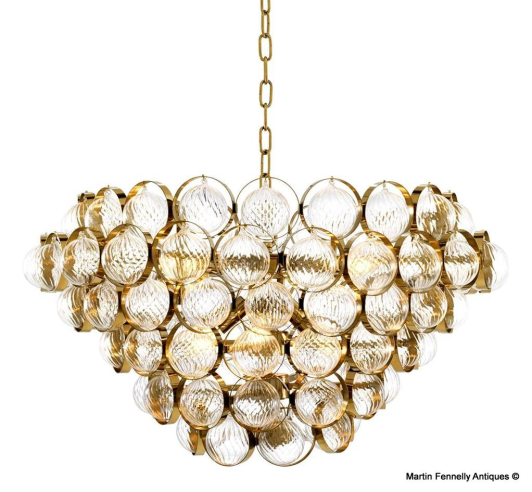 Transform your interior space in an instant with the 'Opera' Chandelier. Exuding the restrained sophistication of the Mid Century design this Chandelier is a luxury Crystal and Gilt Brass light with a difference. 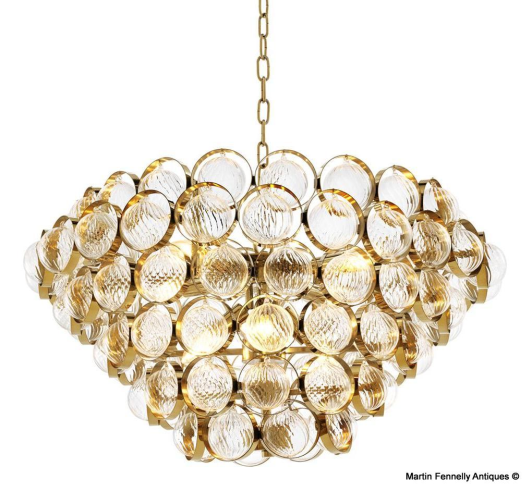 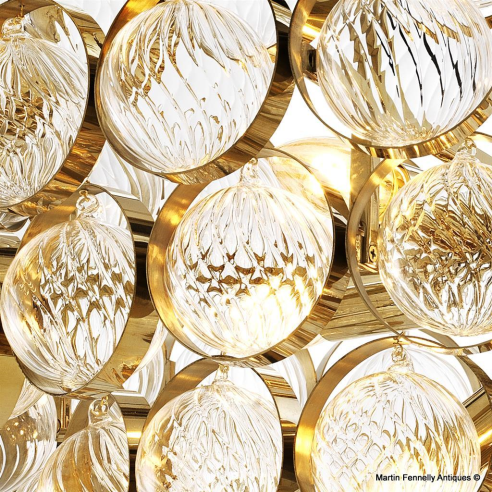 Replacing traditional droplets for a more contemporary aesthetic, this uniquely hand sculpted designer lighting solution features a captivating adornment of cut glass spheres suspended with brass ringlets. 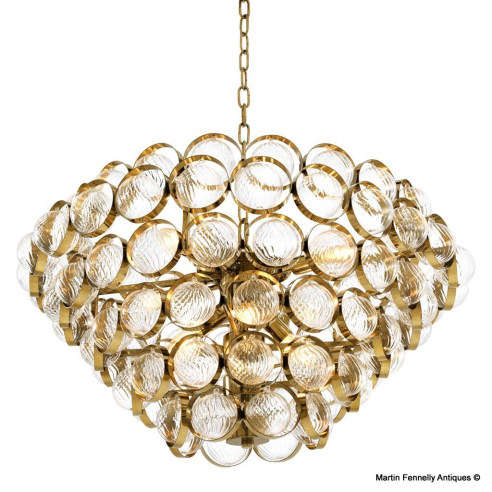 Inviting an ornate radiance to hallway and dining room interiors, The Opera creates a show stopping style statement once switched on.